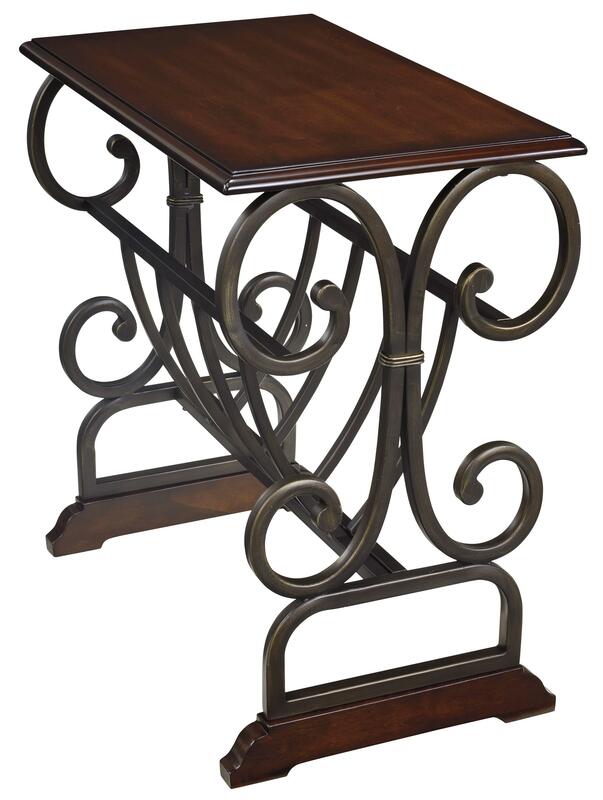 Scrolled metal accents in a bronze color add an Old World feel to this chairside end table. The angled shelf at the center of the table is ideal for books or magazines. Its wood top and base in a brown cherry color finish complete the look of the table. The Braunsen Traditional Chair Side End Table with Scrolled Metal by Signature Design by Ashley at Michael's Furniture Warehouse in the San Fernando & Los Angeles area. Product availability may vary. Contact us for the most current availability on this product.